Narita Express Trains from Narita Airport stop at Tokyo Station "about 53 minutes", on the Sobu platforms. 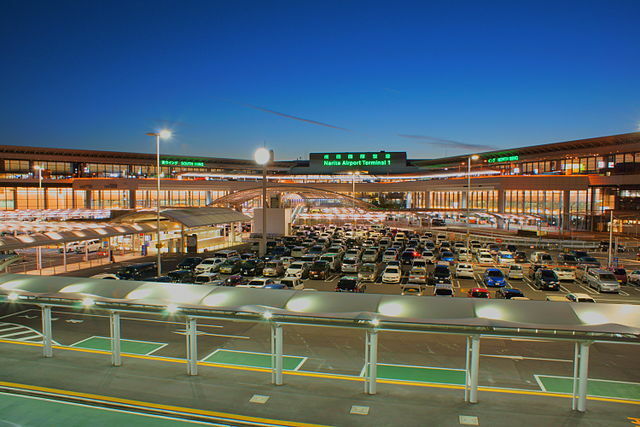 The Keikyu Line Trains run through to Haneda Airport "about 35 minutes". 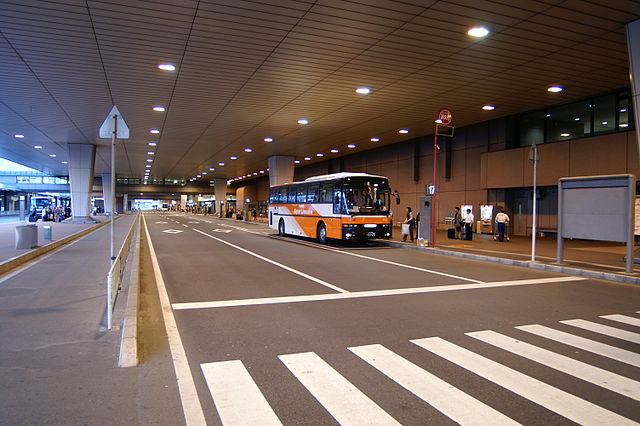 Airport Limousine Buses run From Narita to Tokyo Station every 10 to 20 minutes via the Tokyo City Air Terminal "90-120 minutes depending on traffic", and less frequently to area hotels. From Haneda, buses run every 30 to 40 minutes "about 45 minutes in duration, depending on traffic". 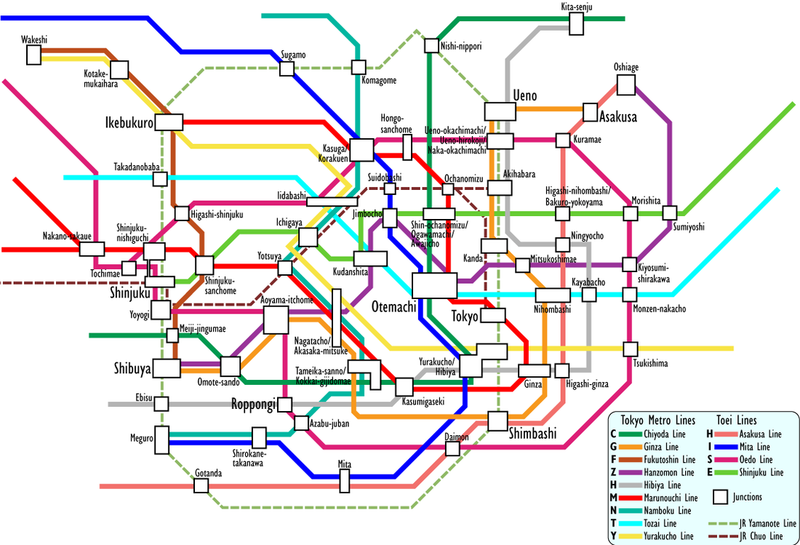 Tokyo has one of the most extensive mass transit systems in the world. It is clean, safe and efficient - and confusing. ​The confusion arises from the fact that several distinct railway systems operate within Tokyo - the JR East network, the two subway networks, and various private lines - and different route maps show different systems. ​Avoid rush hours if possible; trains get overcrowded very easily. 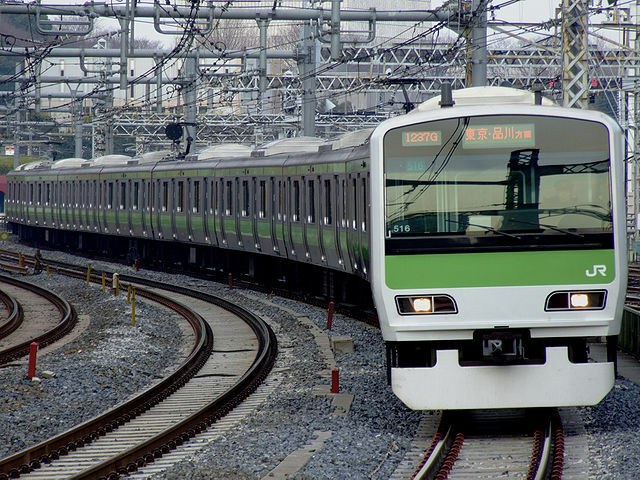 The defining rail line in Tokyo is the JR Yamanote Line, which runs in a loop around central Tokyo. ​Almost all inter-regional JR lines and private lines start at a station on the Yamanote line. JR's lines are "Color-Coded", and the ﻿Yamanote is Green﻿. ​While the JR Yamanote Line is not a subway line, due to its importance as a major transportation artery in downtown Tokyo, it is usually featured on subway maps. ​JR East has a good English Information Line: ﻿050-2016-1603﻿. 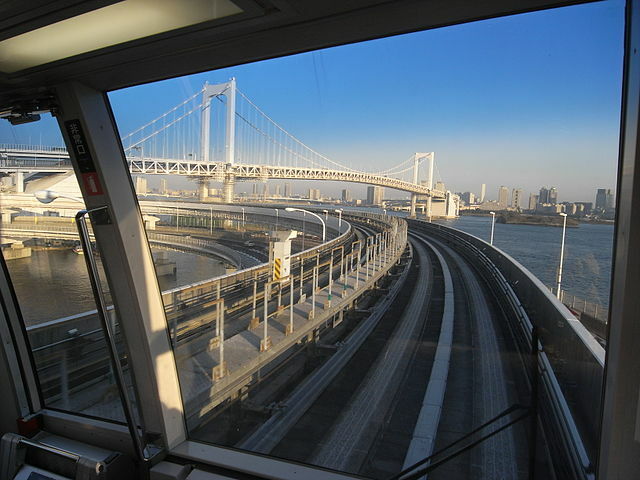 The private lines are useful for day trips outside the city, and are slightly cheaper than JR.
​Among them, the most important to visitors is arguably the Yurikamome which offers great views on the way to the island of Odaiba. If you are using a smartphone you can benefit from a free, official Tokyo Subway Navigation Application available in the app stores. It works offline and has Multi-language Interface, including English. It is very useful for quick route searches, but its lookup seem to be time-optimized and not cost-optimized. Most Tickets and Passes are sold from automated vending machines. Almost all vending machines now have an "English" mode. ​Keep in mind that JR trains are free with a Japan Rail Pass. 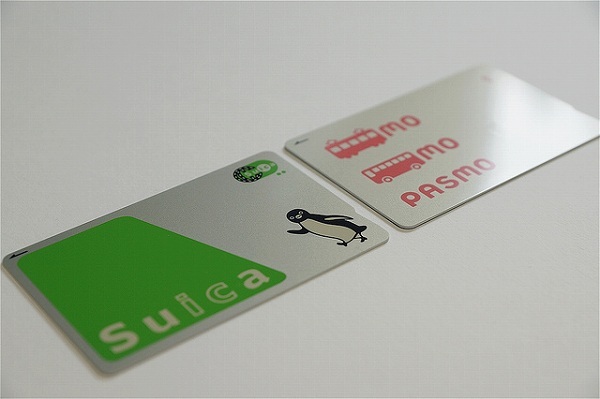 There are two brands of prepaid fare cards, JR East's Suica and PASMO, offered by private Non-JR lines. Functionally they are completely interchangeable and can be used on just about every subway, train and bus line in Tokyo "with the noted exception of JR's Shinkansen trains". There are also some special tickets that allow unlimited travel, but most are unlikely to be useful to tourists unless you're planning to spend half your day on the train. 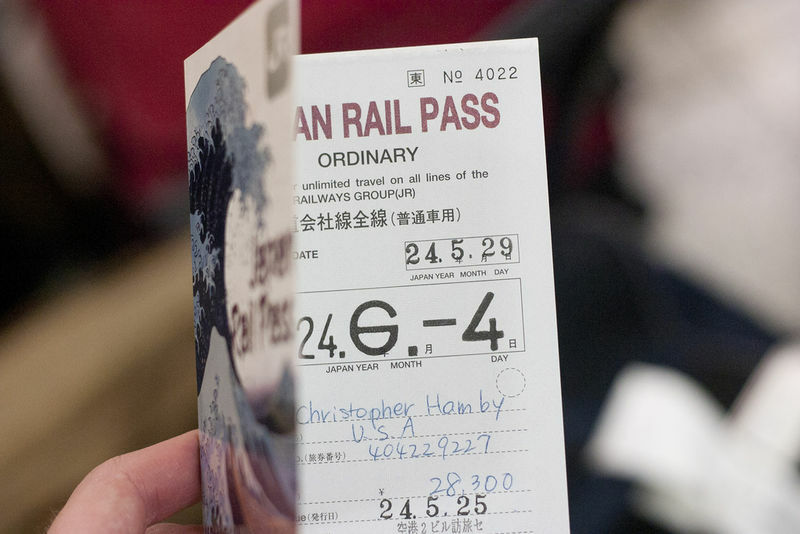 The Tokunai Pass is a one-day pass good for travel on JR lines anywhere in the 23 wards of Tokyo "including the entire Yamanote Line and many stations surrounding it". It is economical if you plan to make five or more train hops in one day. 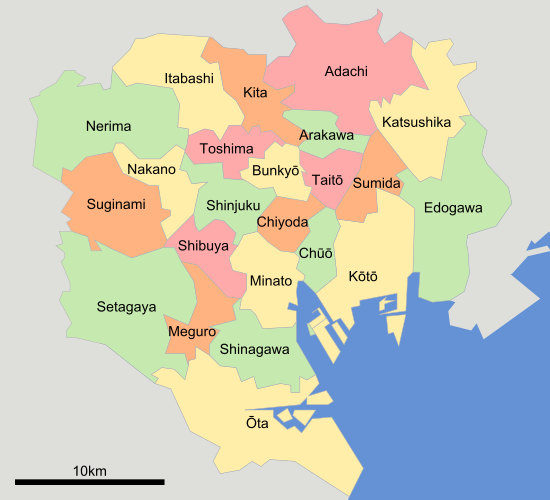 A variant is the Tokunai Free Kippu, which also includes a round-trip into Tokyo from stations in the surrounding prefectures. ​The Monorail And Tokunai Free Kippu, which is good for two days and includes a round-trip from Haneda Airport to central Tokyo. The Tokyo Free Kippu covers all JR, subway and city bus lines within the 23 wards. 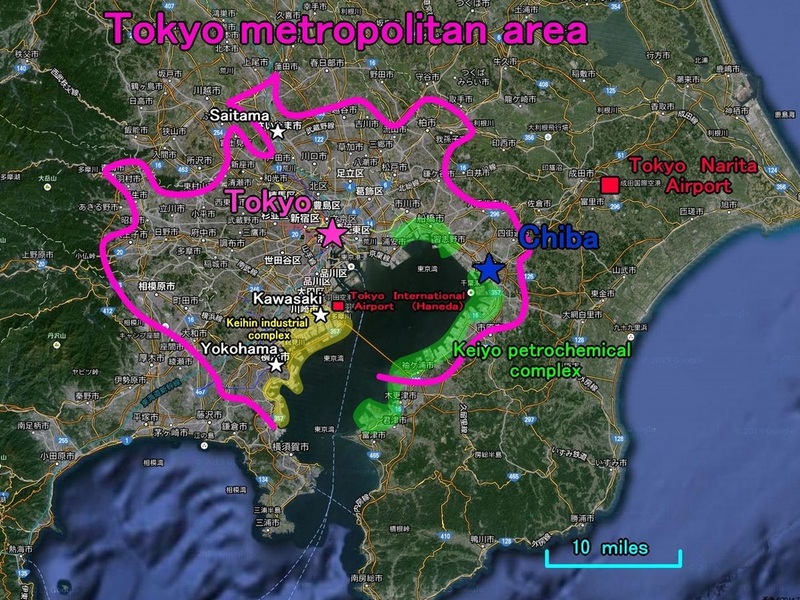 It is for one day, and covers a number of areas that are not served by JR, such as Roppongi and Odaiba. The Holiday Pass covers the entire JR network in the Tokyo metropolitan area, including Chiba, Kanagawa, Saitama and West Tokyo. It is for one day, and is only available on weekends, national holidays and during summer vacation "July 20 through August 31".